Come & Discover your Wild Atlantic Way Donegal. 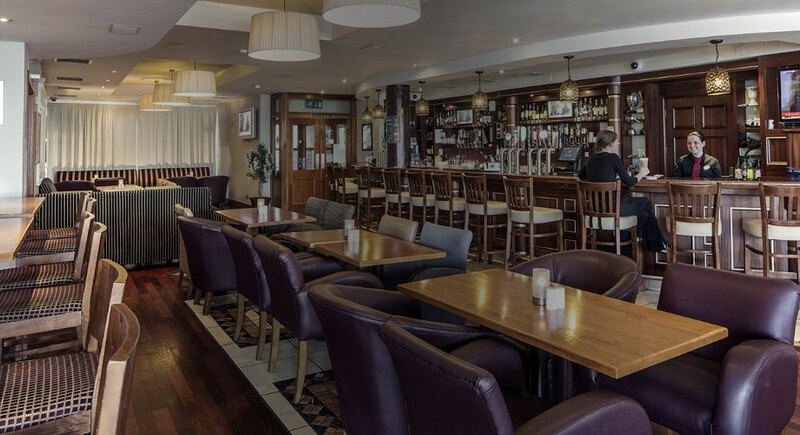 Spectacularly set overlooking Killybegs Harbour and with views of the surrounding Donegal Hills, the Tara Hotel features 26 tastefully decorated bedrooms and 5 suites, most of which have harbour views. At the Tara Hotel each of the 26 bedrooms and 5 suites offer all the modern comforts you would expect in a first class hotel. The Tara Hotel is situated in the harbour town of Killybegs on the South West Coast of Donegal (over looking Killybegs Harbour). Just standing at the viewing point on Sliabh League in Donegal is all you need, an amazing sea vista and landscape open before you. The Wild Atlantic Way is set to be Ireland's first long-distance touring route, stretching along the Atlantic coast from Donegal to West Cork. 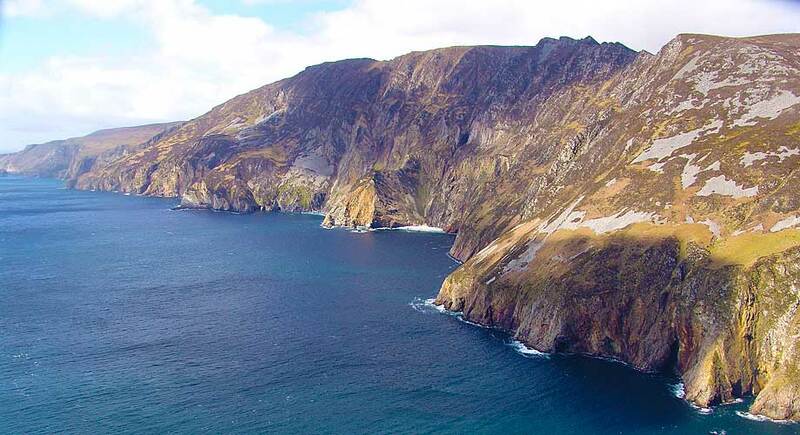 Here at the Tara Hotel Killybegs we are at the Gateway to one of the premier sights the famous Slieve league, Europe's Highest Sea Cliffs. 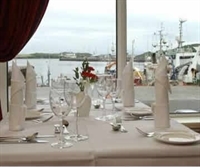 The Turntable Restaurant offers a perfect setting to enjoy special occasions, its warm decor is coupled with spectacular views of Killybegs Harbour. The Tara Hotel is situated at the heart of Ireland’s largest Fishing Port, Killybegs. At the Tara Hotel we seek to promote and utilize west of Ireland produce along the Wild Atlantic Way and the Causeway Coastal Drive. 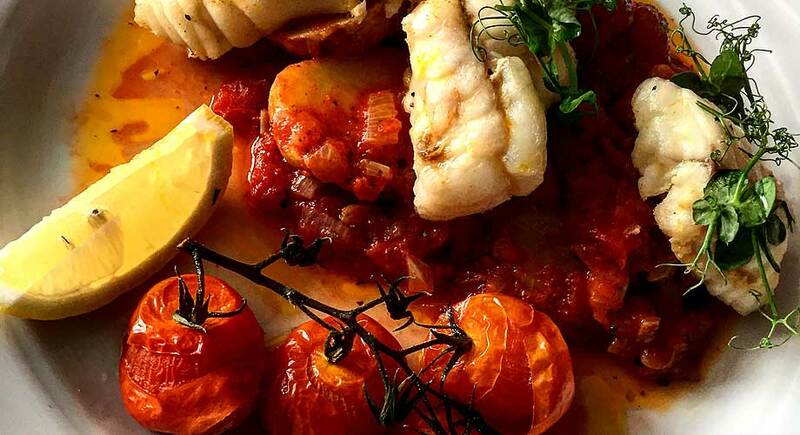 Our aim is to source locally grown, high quality, artisan products to create the perfect menu. At the Tara Hotel each of the 26 bedrooms and 5 suites offer all the modern comforts you would expect in a first class hotel. All hotel rooms are tastefully and luxuriously appointed, and provide an intimate and cosy setting, for your relaxing stay in Killybegs, Co Donegal. The Tara Hotel prides itself in providing the finest accommodation in Killybegs and indeed in South West Donegal. The hotel includes 31 tastefully decorated, modern, comfortable and stylish bedrooms. Our Suites have 1 King Size Bed. These rooms are stylish and spacious and command a side facing view of the sea. . Warm bright décor, stylish furnishings and excellent facilities combine to create your private haven. They also have a comfortable sofa sitting area. 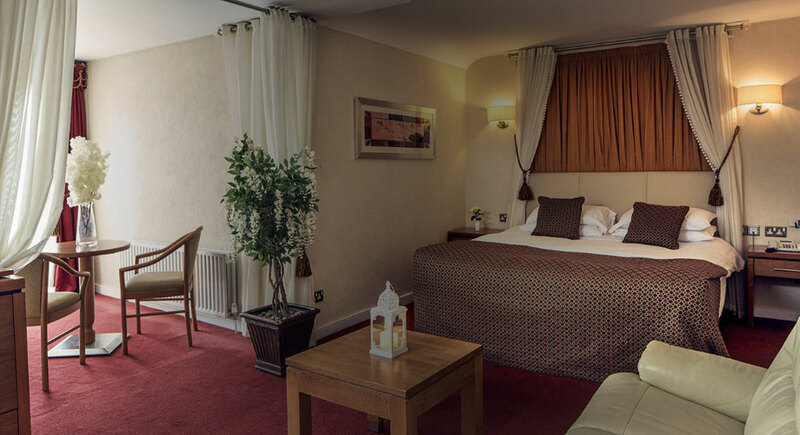 At the Tara Hotel we offer the wedding couple complimentary accommodation on their wedding night where they can begin their married life together in true style. The romantic Tara Suite features a lounging area with sofa and coffee table in a large open-styled room. 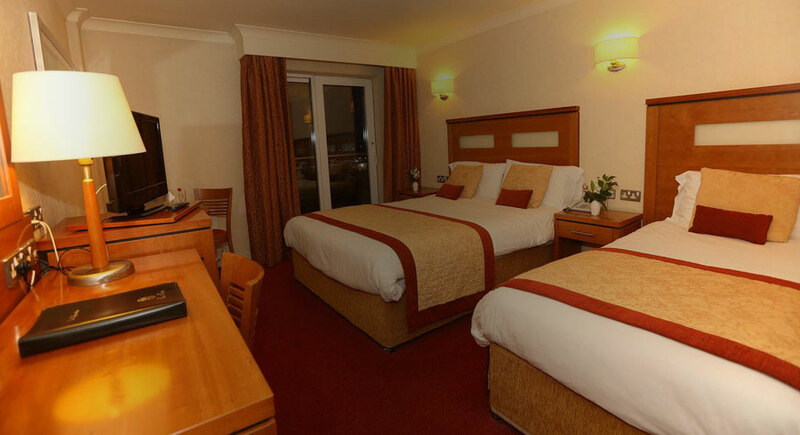 All our Double Rooms have 1 Double Bed suitable for two people sharing or 1 person (single occupancy supplement applies). Rates include Full Irish Breakfast (unless otherwise specified), taxes and complimentary use of the Tara Hotel Gym. Don’t just take our word for it, see what our guests are saying about their experiences at the Tara Hotel. We will strive to meet your every requirement. 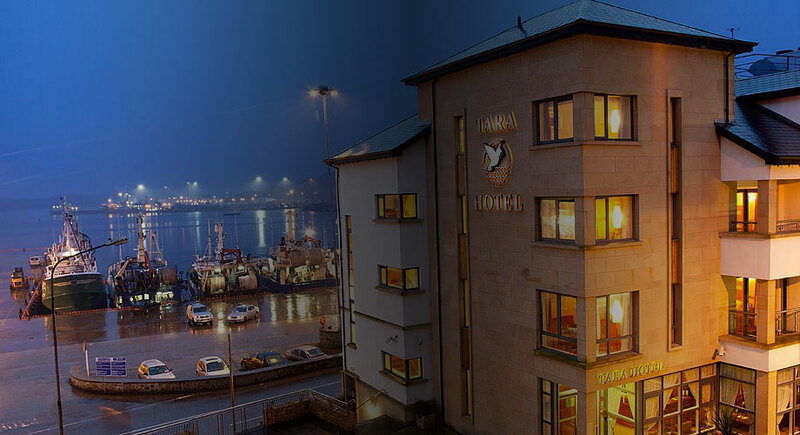 The Tara Hotel prides itself in providing the finest accommodation in Killybegs and indeed in South West Donegal. Plan Your Wedding With The Experts! For that special day the Tara Hotel, Killybegs, Co Donegal offers unrivalled service and facilities to wedding parties. We pride ourselves on our relaxed hospitality combined with a first class quality service.We are dedicated to making your day a resounding success. Our wedding specialists have a wealth of experience and will take care of every detail, leaving you to enjoy what is sure to be a memorable occasion. Our staff can also help you prepare for your big day by providing advice on entertainment, decoration, table settings and menus, leaving you to focus on enjoying your day. There are many beautiful locations within close proximity of the hotel, which offers the perfect romantic setting for wedding photography, helping ensure your day will remain a happy memory for many years to come. As well as being the best Hotel in south-west Donegal, we also offer a number of other services including, a full gym, conferences, holy communions and confirmation. Also there are gift vouchers available for those special occasions. The conference facilities at the Tara Hotel offer modern, comfortable surroundings where a wide range of business and social events can be held. We offer a full menu for confirmations and communions. Please contact us today to arrange a booking. The Tara Hotel Leisure Centre is a modern and spacious facility, which offers a range of state of the art equipment & free weights area. Why not give that special someone a gift voucher from the Tara Hotel for a birthday, anniversary or other special occasion.